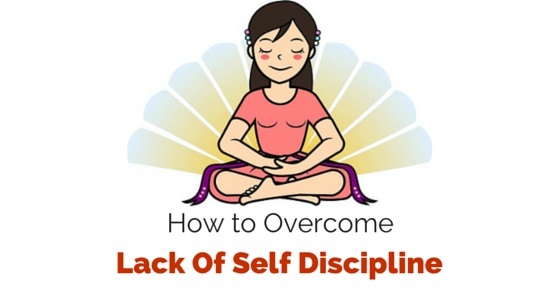 How to Overcome Lack of Self Discipline? Everyone has goals and desires to achieve in their life, we all want the best of everything around us. Be it money, health, family or professional success, everybody wants it. But the truth is that not everyone is able to achieve the desired results. What is that one thing which makes only few people to achieve their dreams and goals while others don’t reach even closer to it? Self discipline to achieve something is an extremely important step after deciding on to your goal and working out the plan of action. To act on to something one requires an extensive amount of self discipline. This is one thing which makes achievers a step ahead than those who fail in their lives. To many, self discipline sounds as a tedious task but if taken small steps towards it, great benefits will be reaped out of it. Below are the 20 ways to overcome the lack of self discipline. Nothing can be achieved in a fortnight, not even self discipline. One needs to take smaller steps towards it, starting from a very small task to begin with. For example, if you are trying to lose weight and are not able to work on your diet regime, it is good to start by controlling the diet with a small step. Like you can decide to eat chocolate once or twice a week rather than giving up completely. Once you are able to achieve it, this will develop a confidence to work towards it further. To be self discipline motivation is required. Motivation comes from a purpose, find out the main reason for your goal intended to achieve. For example, you are looking towards a promotion so you want to give that extra effort in your work. Or you want to lose some weight to be physically fit or to fit in a certain dress. Everytime your mind tries to skip the path of self discipline; this motivating factor will bring you back on track to achieve it. To achieve self discipline, it is important to have a right kind of surrounding since it will help not to deviate from the path itself. For example, if you plan to get up early, then it is important to sleep early in night, this will happen by not watching late night TV and having early dinner. If you know resisting junk food is hard for you, in the process of losing weight then prevent keeping any of it in your home or workspace. Self discipline should be implemented in the right way. First of all know your goal that you want to achieve, then figure out the correct plan of action to be implemented towards it. It does not make sense that a person is not eating right and complains of not losing weight despite of exercising. It is essential to understand that to achieve a desired goal required commitment in all forms. As much exercising is important, taking care of a good diet is also required to lose weight and be fit. Sports are the best way to develop self discipline. The rules of a certain sports not only helps to understand the discipline but regular practice also helps to motivate to develop self discipline which can be implemented in other areas of life. Also playing instrument, painting, crafts or dance, any of these forms helps to build the self discipline. Since these are fun to do therefore it is easier to build the discipline required. Read autobiography of any famous personality. Every successful individual will talk about the importance of self discipline in their life. To be successful in life is no magic, if one can do it then anyone can do it. Also, talk to the people around you whom you consider successful, understand what made them achieve their goals and how did they maintain the self discipline. Temptations are a major concern initially when one is trying to achieve self discipline. One needs to understand that it is just a temporary phase and if these temptations are fought back they will not come again. Say no to yourself when you want to have that extra piece of cake or feel like sleeping for five more minutes. If one is stuck and agrees to these temptations then the cause of achievement will be lost. Therefore, getting ahead past of these will help in beneficial results. Most of the people fail to achieve self discipline because they see it as a task to be done, making it sound more tedious than it could. Let it be a fun event or a moment to enjoy. For example, if gym is something hard to keep up with, then join a dance class or yoga whichever suits you. Play music while exercising or imagine getting a chance to see and experience the sunrise if you get up early in the morning. The more it is fun; the easier it is to follow. It is easier to slip from the path of discipline. Lot of people think that they have achieved what it requires to be disciplined, but it is important to understand that self discipline is to be implemented daily. In case if you slip in between, it is best to pick up from where you left and start moving forward. Understand the best suitable time to do something. For exercising, see if it is convenient to work out in the morning or evenings. A good time makes it easier to enact on it hence reduces the chance of failure. If you intend to start reading a book then it is good to see which part of the day you are attentive to read a book, there is no point if you are drowsing and trying to read a book. The best way to keep up with the self discipline is to know what the benefits one will be getting in future are. See what exactly you want it to be and how it should be. The happiness getting from the process of visualisation will help in working towards your goal and hence creating the required self discipline. As per a survey, the most successful people in the world tend to sleep only four hours a day. Those extra hours out of bed makes them work a bit more than others and let them step ahead than others. These successful people are same as all of us and at times they would love to sleep a bit more every morning. But they let their motivations and goals get ahead than the tiny lazy voice in the head. This requires an immense amount of self discipline. If one is able to conquer the tiny voice in head then being successful is not a distant dream. Sometimes it is difficult to achieve self discipline on our own, therefore, it is good to take a help from a friend or meet people with similar goals. Motivating and keep a check on each other helps a lot. For example, if you have a hard time exercising all by yourself then take help from a friend who is also in need to work out. Both of them keep a check on the other and ensure that the other one is not deviating from the path. Many a times people are not self disciplined as they do not have a goal or a cause to be disciplined. Having a goal and ambition in life creates a path to be walked on, when a path is there then the idea how to travel comes along which leads to create a space for self discipline. Having a goal in life will definitely bring positive changes in life. Self discipline is the required instrument to achieve benefits and goals in life. Initially, it might seem as a task unachievable but with time it will benefit the individual. It is to be noted, that the benefits reaped for long terms are lot better than the short term benefits of avoiding self discipline. So get the best out of everything, bring some change in your life.